This lovely room belongs to a beautiful newborn baby boy. The idea of interior design was to create a nice and warm living space for a little boy with an option of changing baby cot to a child’s bed later on but to safe design of a room. 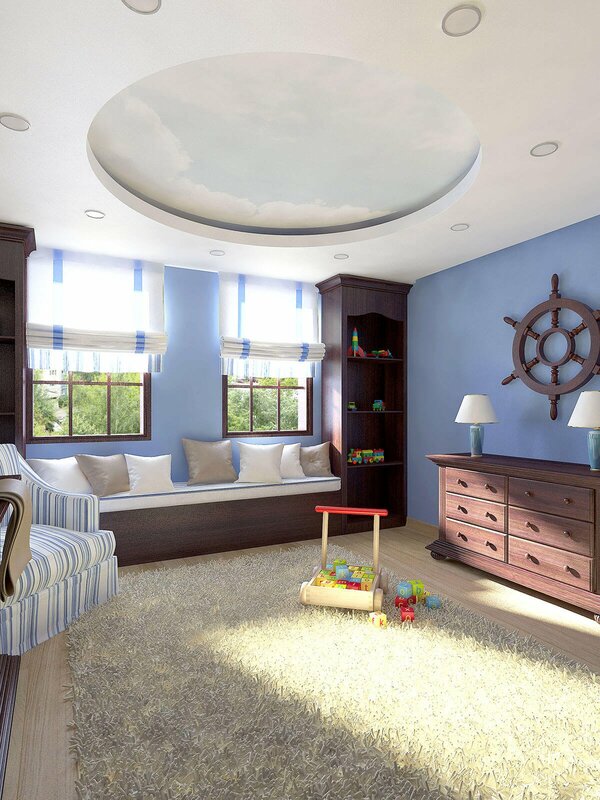 3D interior design helped my client to understand how to organize her baby’s living space and how to decorate it. 3D visualisation gave her an option to buy all needed furniture and other decor elements for the room without involving additional request of architect and designer.